A familiar face (although not exactly one of the gods) is making the move from SMITE to Hi-Rez’s newest free-to-play game, the team shooter, Paladins. 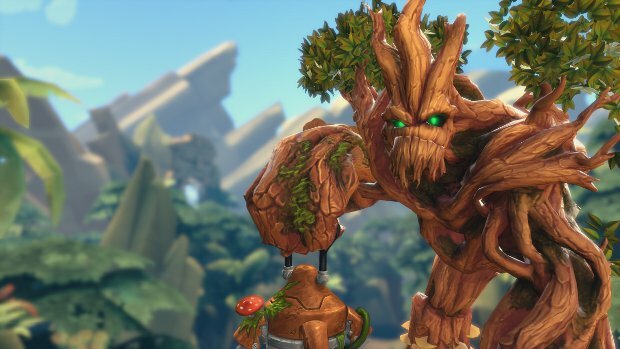 Grover, Sylvanus’ big treant friend has decided to branch out for himself. Hi-Rez revealed the new champion at yesterday’s pre-SWC Media Day event, showing off his new look — and his weapon, the Mystical Lantern. In addition to Grover, Hi-Rez also announced a new map named Glacier Keep. This is an ice map that will feature more verticality than previous maps.